All your dates at a glance! 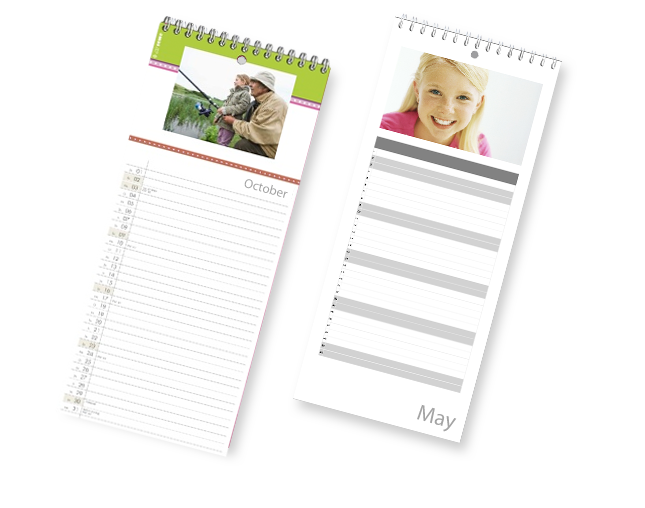 Don’t miss any dates – the kitchen and birthday calendar with your favourite photos. 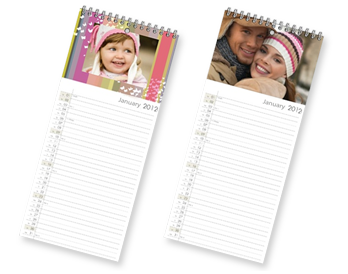 With lots of room for notes, this 13 x 29.7 cm calendar will remind you of all the important birthdays and anniversaries. 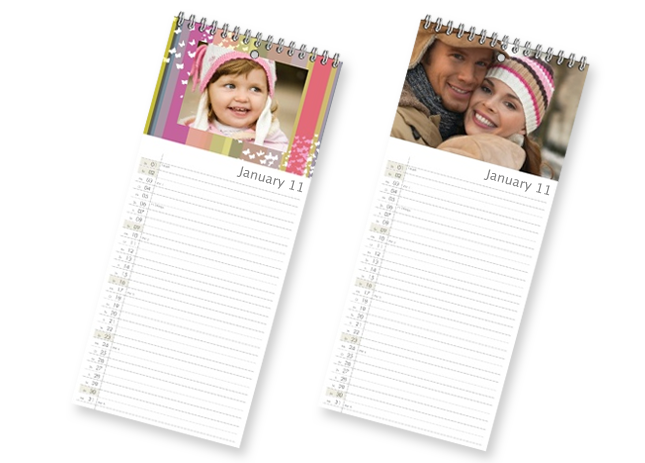 Simply choose your favourite from the many different layout options and turn your photo calendar into a very special feature. 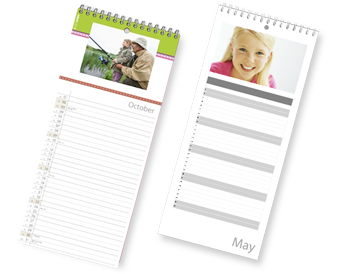 With its flexible choice of starting month, you can order the kitchen calendar all year round.